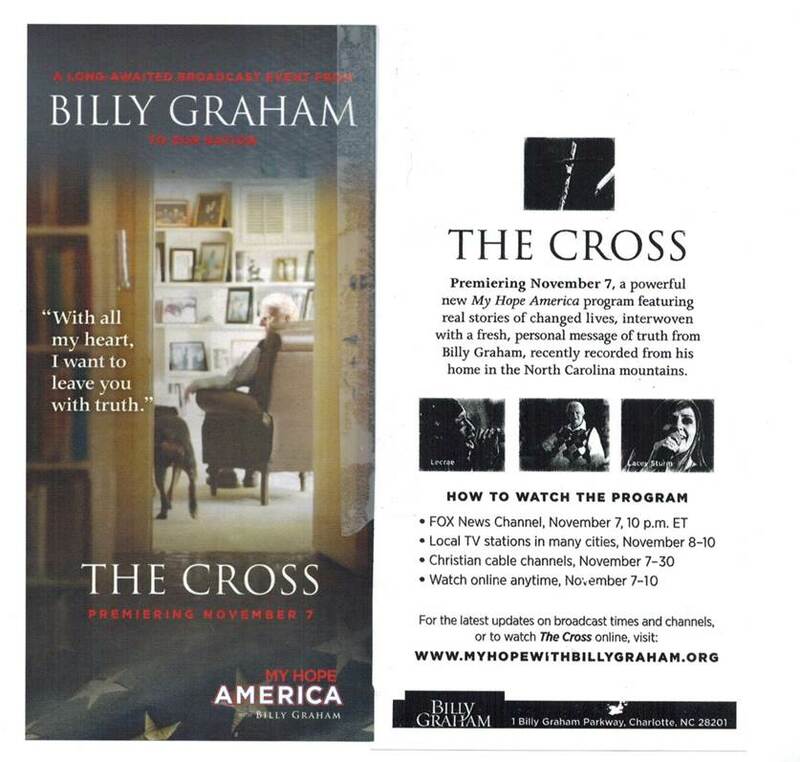 Please don’t miss the special broadcast tomorrow night (Thursday, November 7) from Billy Graham. It’s called “My Hope America.” It’s on various channels, and if you miss it tomorrow night, you can watch it on the Christian TV stations this weekend. I’m posting the flyer below so that you can check when and on what channel to watch it in your home. Tell your friends about it. Post it on Facebook and Twitter. Better yet, invite a friend to watch it with you. At 95 years old, Dr. Graham may be the world’s last great evangelist, pastor to our nation, and adviser to presidents. Find out what he believes is the last great hope for America. Most important of all, continue to pray for God’s Spirit and holy angels to fight the forces of darkness in our country and to bring to light the glorious gospel of our Lord Jesus Christ. He, we believe, is the only Hope for this godless culture. Pray Psalm 2 and Psalm 9 for America as you watch this program – that both our leaders and our people will “kiss the Son” and recognize that they are but men in need of a Great Savior sent from the Father Heart of God.